I wouldn't mind the NFL sticking to those on a yearly basis, to be honest. Me too! The work is done and everything is ready for the first season to go on, so yeah, the hard part is over haha! I'm using DDS: Pro Football 2016, a mostly text-based sim (I use it as that exclusively) with little 2D graphic options to simulate and watch games develop. I can tell you more via DM if you want. Welcome to the story! * * * We. Are. Ready. The Major League Football has made it official. The franchises are located, their rosters are set, training camps are completed and there is only one thing left: getting the ball rolling for good. And it seems like it can happen any moment, because the MLF has sent us the structure this first season of football will follow, which we break down next: Each team will play a total of 14 games, spread over the same number of weeks. Given there are two conferences and no divisions, with three teams in one and the other, each franchise will play its conference rivals 4 times each (two at home, two away) and 2 times each of the other conference teams (one at home, one away). Once the regular season is completed, the 4 teams with the best record in each conference will advance to the Playoffs. The Playoffs will be split in two halves, with the two teams from the West conference facing each other and the teams from the East conference doing the same. Once these two winners are determined, they will play for the championship in the already branded "Power Bowl 1". Prior to the championship game, the league's All-Star (labeled "Pro Bowl") will be played and will feature the best players from each conference. Another important moment will be Week 8, given that it signals the Trade Deadline from which franchises won't be able to make any trade until the season is over and the off-season kicks off after the championship game. Already in the off-season, and as we already informed, every player will become a restricted free agent and will have the chance to change places. The league has stated that it encourages players to keep playing for their first franchises if the contract numbers are reasonable, although we're still far away from this to know how stories will develop. 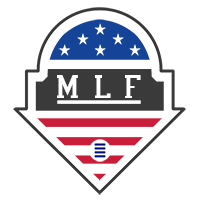 Also during the off-season, the first (if we don't consider the inaugural one) MLF Draft will take place in Louisville, where college-eligible players will be selected by the selected franchise in reverse order to that in which they finished the season (taking into account both the regular season and the post-season results). We at ESPN want and will provide the best coverage of the league regarding, news, results, events, etc. We have reached an agreement to broadcast games for this first season with a two-year extension option available for us to pick if the MLF proves successful. Games will air on Sundays, from noon to 7pm, every week starting the first weekend of September. * * * As part of the last press release from the league we detailed above, the MLF provided the logos for both the first Pro Bowl (it is unclear if this is a one-year thing or if the league will keep it for multiple seasons as the event's official logo) and Power Bowl 1, which you can see next. Surprisingly, no information has been released regarding the trophy the league will award to the champion regarding if it will have its own name, its appearance, etc. I had totally not looked into that information at all. But, I have looked into the league paperwork and found something I can publish next! If I'm honest with you, while I have some ideas for the future already in my mind, I don't want to plan everything ahead so I can't truly tell you what or what not will happen because I don't even know. One of the reasons I wanted a game/sim engine was to not having to make the league progress myself but rather have some computer generated and random results that may include injuries, dynasties, etc. without me affecting how the world develops but rather adapting to it. Which also makes it pretty exciting to me because of the unknown future. Well, the league had to start somewhere and those are the six teams and their choices. This is the first season, things are almost going on the fly and a lot of decisions are being rushed by the commissioner and the franchises as I've come to know, so time will settle things a bit and allow chances to much more people interested in joining the organization (at least if it proves successful!) Thanks for the words! Actually, the Nuggets were one of the most conservative teams imo. Almost no stripes barring the single vertical one on the pants (and the arm ends if you consider it...) plus the helmet, which was a last-minute decision that split the creatives and the head honchos of the organization opinions, finally making it. I guess all of the headaches were compensated with that first slot on the Opening Draft haha! * * * After no less than 54 rounds of selections, the Major League Football franchises have finally filled their rosters and are ready to start putting on a show during the weeks to come! More than 300 players have been claimed by the Original Six teams that form the league, and here are the Top 12 picks along with the uniforms each of the franchises unveiled during the ceremony that took place in New York last night. As a quick note, the Monarchs made a splash by picking a running back instead of a quarterback with their first pick, while New York was the only team to opt not to pick a QB/RB combination with their first two picks prioritizing the guard position with their second round selection. * * * Rd 1 / #1: Terry Hahn, QB Rd 2 / #7: Chad Sanborn, RB * * * Rd 1 / #2: Kevin Nagle, QB Rd 2 / #8: Ryan Miller, RB * * * Rd 1 / #3: Ray Gibbs, RB Rd 2 / #9: Brandon Wicker, QB * * * Rd 1 / #4: Joseph Vigil, QB Rd 2 / #10: Dwight Marquis, G * * * Rd 1 / #5: Garry Bunting, QB Rd 2 / #11: Rudolph Blair, RB * * * Rd 1 / #6: Ronald Frederick, RB Rd 2 / #12: Leonard Brooks, QB * * * Some franchises' representatives informed us that, with regards to the uniforms being made for their teams, the league only imposed a few simple rules to keep some consistency among every participant: Every franchise must create two uniforms for the first and inaugural MLF season One of the uniforms must include a white-base jersey Only one unique helmet design shared by both uniforms No rules apply to the socks nor the pants to go along the jerseys and helmet. * * * The time has come! We're just a few hours away from knowing where each of the 324 players that will form the first Major League Football roster land. Football player from every part of the nation have completed their workouts during the past days at the training fields located in Buffalo and after putting hours scouting all of them we have come with what we consider is our Top 6 among all of those eligible tonight. Nothing is set in stone, and we don't know how each of the Original Six franchises will approach the draft, but these are our predictions for the first rounds picks and the men to hear their name first. Terry Hahn / QB / San Diego - The consensus best player of the draft. At 27 years of age, he's at the peak of his powers and his name is sounding more and more as the future #1 pick and first ever selected player to be part of the MLF. Ray Gibbs / RB / Missouri - Explosive, agile and the ultimate speedster, he's even got the hands to be a threat in the passing game. A game changer from the backfield. Dwight Marquis / G / South Carolina State - The best big man on the board this early, and the one carrying more pounds. At only 24 years he may become a true stud in whatever line he ends playing for. Stevie Parish / OT / Southern Illinois - Another lineman with a tremendous projection, Parish looks like a beast on run-blocking plays and doesn't lose any step on passing actions neither. Thomas Espinoza / TE / South Carolina - Maybe not the most loved position, though Espinoza looks like a stud for his young age and could easily become a franchise player from the Tight End position. Billy Daigle / WR / Florida State - Coming from one of the prime football hotbeds, Billy is definitely one of the most cocky yet sure-thing caliber players of the whole draft. Tough, fast and armed with incredible hands, he definitely looks like the best receiver of the bunch. * * * Finally and as a remainder, here is the order of the upcoming draft, which was determined by the use of a lottery system involving a random drawing of envelopes from a hopper. Inside each of the envelopes was the name of one of the six teams forming the MLF. The team whose envelope was drawn first got the first pick, and that now belongs to the San Francisco Nuggets. The full order is set as follows (repeated for each of the 54 rounds until every team has filled its roster): 1. 2. 3. 4. 5. 6. Finally, remember that every player will enter the league with a one-year contract that will see him get a base amount of money plus incentives regarding the numbers he accomplish during the season. Once the first year is over, every one of the selected players will become a restricted free agent, with all of the franchises being able to match any offer their first-year players receive, thus creating a balance between continuation and the possibility of teams trying to form better teams from the second-season on. Once those contracts are signed next summer (every player will need to sign one to keep playing in the league, either with the team that selected them or any other team), the league will move to a more regular structure in which no full-free-agency will happen again as will occur next off-season. * * * The last piece of branding yet to be unveiled by the league and its franchises, the team uniforms, will be released on Draft Night as the picks are made, with the first two selected players by each team getting a fully customised jersey with their name and number on it. That is the moment where we will be able the two unis each of the franchises will wear during the inaugural season of the MLF! The Badgers' identity is quite simple but I love how both works blend in that wordmark! As far as the Nuggets logo, I'm going to be honest and say that it's not my favorite at all. Not a fan. Hope they rebrand sometime in the future... Thanks a ton! I didn't want to go with the plain boring stripes and thought about the square pattern to give it another feeling. Anyways, I understand it may call for controversy and we'll see what happens with the team identity in the future and if fans are really determined to make it change or not. It's a bold move by the organization, that and the unis they're crafting, but by what I could have seen the full package looks good to my eyes so far. Surprisingly, we have a little uni-leak in our hands! Do you have tips on how to look for and find pieces like those on websites like eBay or Etsy? Being from Europe that's my only option to score me some great and cheap stuff! * * * East Conference * * * With all the franchise cities and identities unveiled, the next logical step would be for the uniforms to be made publicly shown, plus available for purchase in case fans want to invest their money in the newly founded MLF merch. No release date has been issued for this, although we can expect the uniforms to be released on Opening Draft Night, scheduled to take place this next month of August, live from New York, NY, in an event that will see the franchises of the MLF fill their rosters and gear up for the start of the inaugural season. Yes, this is definitely something I had in mind while thinking about how to approach this project. Didn't want something super complex from the get-go, but rather an evolutionary league. If I'm honest with you, I had to ditch two franchise "brandings" because they were too minimal/modern for 1983. I had everything done and then I was like "wait a minute, this is definitely nothing close to 1983 stuff...". So yes, I really wanted to keep things in line with the time they belong to and evolve from there. Hmmm... food for thought and ideas for rebranding/updating team identities in the future if the league finds some success About the Bisons, well, I've always known the Buffalo Bisons just as that, and that is the main reason I included the "S" in the name. And yes, I'm a Blue Jays fan haha! Related to uniforms and fields, I had the uniforms in mind all they way but not the fields. Will explore the idea, although I don't promise I'll be making/unveiling them soon but we'll see. Well this is part of the storyline to some extent. While I want the MLF to separate itself from the NFL and its controversies, I also wanted it to have some sort of "amateurism" to it in its early years, with owners coming up with brands similar or close to some of those used in the NFL prior to this point in time, just because of lack of imagination or because they just wanted to do something "proven" in the big stage. 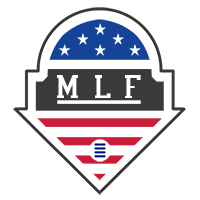 In any case I (me, myself, not any fictional character) will personally try to separate the MLF as much as possible from the NFL over time, although I will also try to test some concepts/tweaks on some current-real franchises just to see how it goes. Exciting times ahead! * * * West Conference * * * Not that it is necessary, but I'd like to know your opinions and thoughts about the WC teams' brands before unveiling the EC ones. I mean, I know we're here for the fun and all, but maybe we can make this a little bit serious by discussing what we really like about his whole thing! Hope you like and engage into the conversations!